2018 and Amana farm @ 8 moths old is off to a cracking start. This is the hot season however and the wind is fierce and the sun even fiercer – thank goodness for our ground cover species (made up of a hardy assortment of pumpkin, indigenous grasses and sweet potato) that provide some welcome shade for the young roots and shoots below. It’s not all juicy watermelons and odd shaped courgettes in this part of the world however; water reliability remains a daily concern as do the hordes of hungry caterpillars and a steady slither of venomous carpet vipers who enjoy the peace and serenity of our gardens too (!) not to mention the ongoing challenge of changing local mindsets… this is pastoralist country and anything without 4 legs and a pair of horns has its place in the hierarchy! 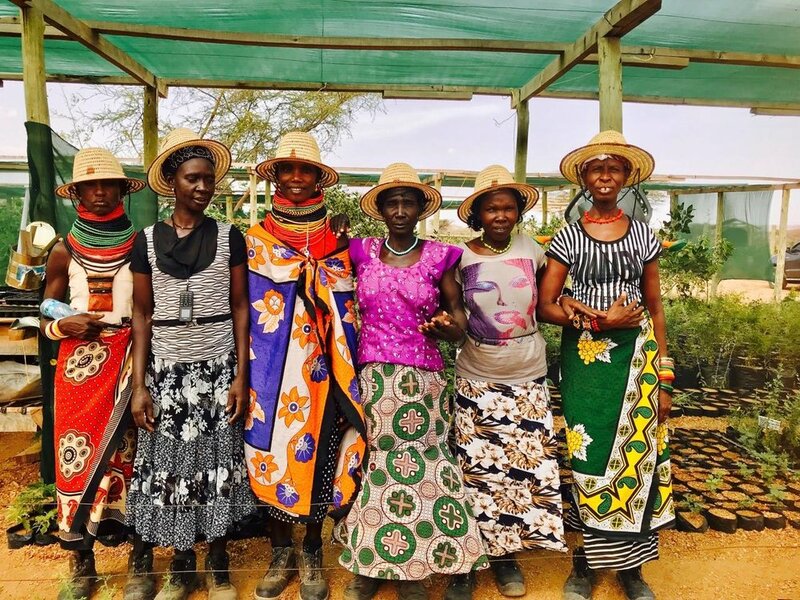 Are you interested in volunteering with us on our Dryland Desert Farm in Turkana? Visit our Voluntoursim page for more information and how to apply by clicking on the button below.